The Citi Diamond Preferred card combines three key features. It offers one of the longest 0% offers on purchases and balance transfers. To this it combines points rewards on purchases and no annual fee. This card from Citi is unique in two ways. First, it offers the longest available 0% offer on balance transfers and purchases. 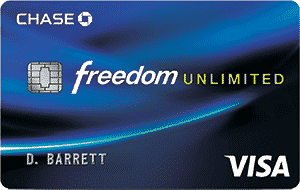 Second, unlike many top balance transfer cards, it offers a points rewards program. In this review we’ll look at its key features, including the 0% offer. We’ll also cover fees and rates, as well as other Citi perks that come with the card. Citi Easy Deals(SM) Get what you want for less. Earn Citi Easy Deals Points for the purchases you make with your card. Redeem your points for great online deals on name-brand merchandise, gift cards and even local deals. One of the best features of the Citi Diamond Preferred credit card is its 0% rate. On balance transfers the card offers 0% for 18 months and 0% for 18 months on purchases. The regular APR is between 14.24% – 24.24%, based on your creditworthiness. Concierge Service: The Diamond Preferred Concierge Service can take care of just about everything, from booking flights and hotel rooms to purchasing concert tickets or making restaurant reservations. This service is also available 24/7 anywhere in the world. Citi® Easy DealsSM: Enjoy members only savings with Citi Easy Deals, on a benefit that gives you access to great online deals on brands like Gap, CVS and Footlocker. $0 Liability on Unauthorized Charges: Shop anywhere and never lose a penny on unauthorized charges. With $0 Liability you won’t pay for any unauthorized charges made on your Citi credit card. Travel & Emergency Assistance: You’re protected when you’re traveling in the U.S. and abroad. Travel & Emergency Assistance include medical and legal referrals, lost luggage assistance, emergency transportation, and translation services. Also included in this service are MasterTrip Travel Assistance, Travel Services Medical Assistance and MasterLegal Referral Service. Worldwide Travel Accident Insurance: Worldwide Travel Accident Insurance is a type of coverage that you hope to never need, but it may offer some financial help to you or your loved ones if a tragic accident does occur, up to $250,000 in compensation. Citi with Apple Pay: With a simple touch you can pay in-app or at over 200,000 stores with the iPhone® 6, or in-app with the iPad Air™ 2 and iPad mini™ 3. Plus, you’ll still enjoy all of the security and benefits that come with your Citi card when you use Apple Pay to check out.